Apple cider vinegar has been lauded as one of the best treatments in curl care, as well as health care. This is because it not only cleanses, but removes build up, adds shine, and conditions strands. 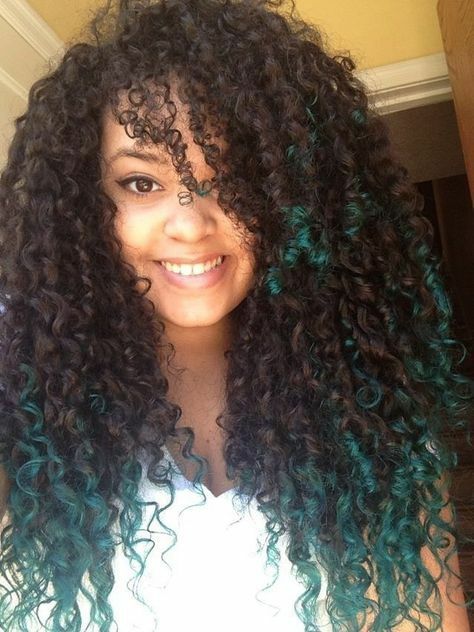 Curly girls who have used ACV report a marked improvement in the overall health of their curls. This is why and how to use apple cider vinegar on your curls. Combine all of the ingredients in a mixing bowl and blend until completely incorporated. Part curls into 6-8 even sections and massage the ACV mixture into the scalp. Use the fingertips to work the mixture in. Once the scalp is completely covered, allow it to sit for at least 20 minutes. Heat can be added for an added benefit. After the 20 minutes are up, wash the product out using a mild shampoo and cool water. The coconut oil and ACV will work together to nourish dry, distressed strands. It also strengthens damaged curls to minimize frizz. You can repeat this process 3-4 times a week. In a bowl, mix the ingredients all together to create a fine paste. Add more water or other ingredients as necessary. Apply the paste throughout the curls, focusing on massaging it into the scalp. Allow the paste to sit on the scalp for 10 minutes, before rinsing off with cool water. The mixture of baking soda and apple cider vinegar removes toxins from the curl strands. It will help curls grow faster and help minimize. Mix the apple cider vinegar with the water. In the shower, apply a shampoo and cleanse the curls, focusing on the scalp. Follow up a conditioner. Apply the apple cider vinegar to the scalp, and massage into the scalp. Allow the mixture to sit on the scalp for 5-10 minutes and rinse off with cool water. This process can be repeated every time excess product or styling is used. This will remove any excess product or build up on curls.